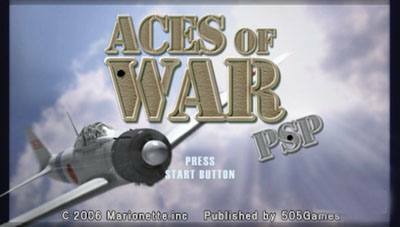 Aces of War is the latest flight sim epic to land on the PSP that is developed by 505 Games and is set in the turbulent setting of World War II. 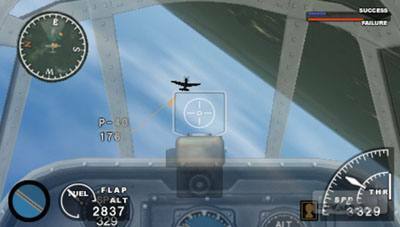 Featuring traditional flight sim/arcade gameplay, the PSP version accurately portrays a wide variety of WWII aircrafts that also allows you to recreate historical accurate events such as the invasion of Pearl Harbour and other wartime atrocities. Historically accurate settings and context and realistic briefing sessions make for a truly realistic flight sim. Choose to fly in simulation or arcade mode. Play in Free Flight mode to experience both flying simulation and combat. Bring your skills to the edge to unlock a full range of secret airplanes. Before embarking on your mission, players have the choice of selecting two main modes of play which include arcade or simulation. The arcade mode is similar to your traditional arcade flight simulators that lets player get straight into the crux of the battle and lets realism take a back a seat. This mode also gives the gamer more access to firepower and makes the enemy behave a little less aggressive then simulator mode. Whereas simulator mode follows the laws of physics to the letter that limits the number of hits your aircraft can take and also increases the difficulty of enemy pilots. Needless to say, depending on your preferred mode, there is definitely a choice for everyone or how much time you have to spare. 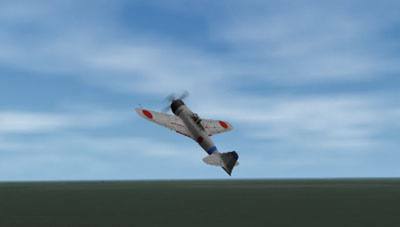 Apart from arcade and simulation, the gamer can also experience a realistic free flight mode that lets the player sore through the majestic skies in a variety of World War II settings. The control system of Aces of War is quite easy to master with almost all buttons on the PSP used with the analog stick used to steer your aircraft. I must admit that the control system is a little lapse when playing the arcade mode due to the speed of the gameplay, however with simulation, the control is quite apt and handles quite realistically. Those not use to the PSP control system may take some time in mastering, however more experienced gamers should have no difficulty whatsoever. With this in mind, some missions are extremely frustrating as you can literally dog fight for quite a considerable amount of time. Graphically, Aces of War is a visual treat on the PlayStation Portal that contains historically accurate World War II aircraft modes which move with a real-world realism and grace. Each aircraft features high resolution textures with reflective surfaces. The only downside to Aces of War are the background environments that range from sparse to sometimes detailed, depending on the mission you are playing. The water affect looks quite impressive while you are flying dangerously close, however from the air it looks like quite flat and uninspiring. The mainland missions are rather detailed for such a small console and will impress most gamers. There are also a variety of views available, depending on which gameplay mode you are playing whether it's a in-cabin view or outside the aircraft view, both quite cool. Featuring a World War II musical score, Aces of War features all the sounds you would expect to hear during this lull in humanity. The engine sounds are quite deep and match that with explosions and the rata tata ta of the machine guns and 505 Games have really upped the ante of what the PSP can do. In conclusion, Aces of War is a sturdy game that although may not appeal to all gamers will definitely hold an audience for those gamers who just love flight simulators, especially for those that wish to play this on the go. Decent graphics, great sound and addictive and varied gameplay, Aces of War is a must have for those lovers of this genre.